We got a second successive win in Tuesday night’s game at Central Park to put a dent in the Loons title aspirations. The first half saw chances for both sides but it wasn’t until the stroke of half time that the deadlock was broken when Declan BYRNE broke through and slotted the ball past king. Midway through the second half we were unlucky not to double our advantage when George sent over a cross to Mitchell but his shot came off the post. As the match went into the closing stages Hunter pulled off a good save to deny Hay and with seven minutes to go we went two up when Swann sent a well placed ball into the path of Kyle MITCHELL who shot home for the second successive game. The Loons then had a late rally to try and save something from the game and pulled a goal back with a minute to go when sub Adam BRAID sent a low shot past Hunter. TEAM: Shaun Hunter, Rory George, Harvey Swann, Josh Thomson, Jordan Leslie, Brian Ross, Declan Byrne, Sean McManus, Kyle Mitchell, Scott Sutherland (Callum Watt 87) & Lyle Kellichan. Sub not used – Shaun Donoghue. 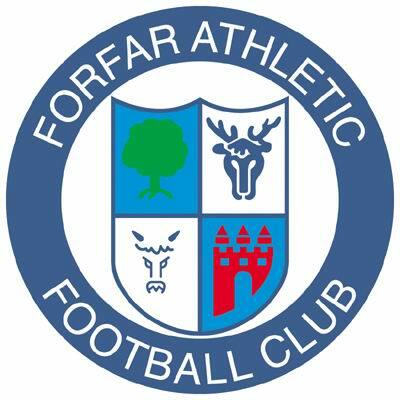 FORFAR ATHLETIC: Jason King, Ben Sivewright, Angus Mailer, James Yates, Murray McIntosh, Frankie Devine, Jamie Gill (Adam Braid 32), Andy McKenzie (Ben Moonie 86), Kerr Hay, Cameron Clark (Fraser Morrison 72) & Matthew Aitken. Sub not used – Mark Smith.